Russian Airborne Troops, known as the Blue Berets, have prepared a spectacular program for the upcoming Russia Arms Expo 2015, which will include dynamic displays of the newest hardware and live demonstrations of high and low altitude landing types. The Airborne Troops have been the elite force in the Russian Military since before World War II. Running under the motto ‘Nobody but us,’ the Blue Berets always performed the most difficult missions. Russia currently has 45,000 paratroopers, with the number increasing to 72,000 by 2019, the Defense Ministry said. The dynamic display of the combat and movement tactics of the airborne vehicles at Arms Expo 2015 will feature a total of 20 units having their abilities tested in amphibious battlefield scenarios. The paratroopers will show off the newest BMD-4M and BTR-MDM armored vehicles that are expected to enter service later this year, as well as the renowned 2S25 Sprut-SD self-propelled artillery platform in action. 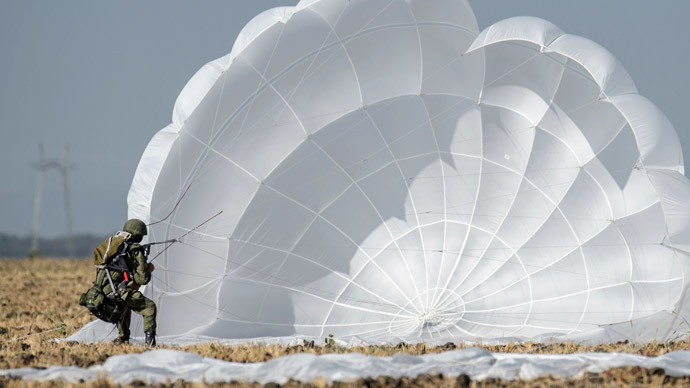 Around 30 companies, which cooperate with the paratroopers, will present the current and upcoming military tech, including state-of-the-art parachute systems. One of the highlights of the Arms Expo 2015 will be the live demonstration of various options for landing personnel and military hardware by jumps by the Blue Berets. The assault motorcycle group will perform the so-called assault landing, which will see quads and bikes descending from helicopters hovering 2 or 4 meters above the ground. Such an option “significantly extends the landing capabilities of group in remote areas and gives it extra maneuverability, off-road performance and secrecy,” the Airborne Forces said in statement. The Russian paratroopers will also demonstrate low altitude landing, jumping out of Mi-8 helicopters travelling at high speed at 100 meters above ground. “In combat situation, this type of landing is usually carried out immediately after a strike by the attack helicopters in order to achieve abruptness in completing the destruction or capture of enemy targets,” the statement stressed. The airborne program at the Arms Expo 2015 will conclude with skydiving canopy formations performed by the paratroopers. 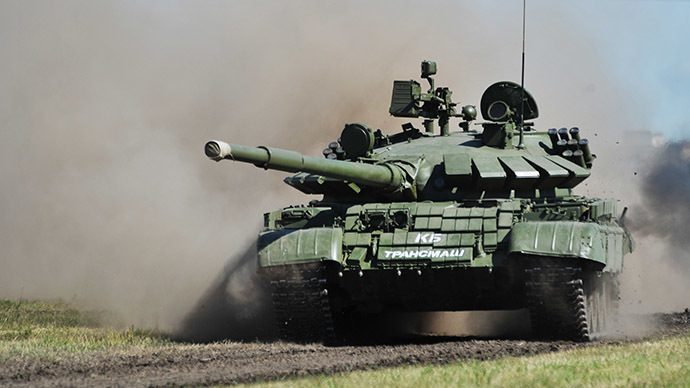 Arms Expo 2015 is scheduled for June 16-19 at the Patriot Culture and Leisure Park, Kubinka, in the Moscow region. It will showcase around 5,000 pieces of cutting edge military hardware – tanks, warships, planes and space technologies – on a 5,000-hectare display area. 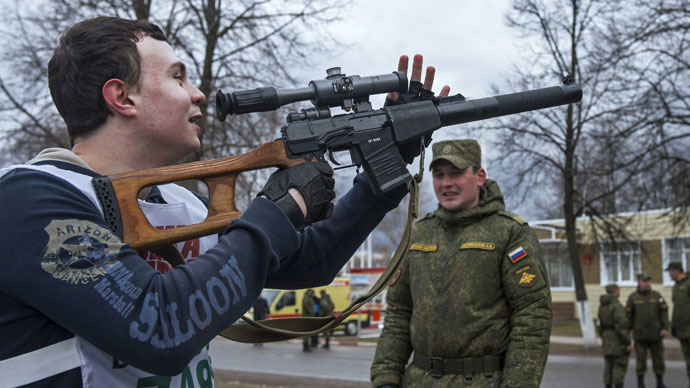 All branches of the Russian armed forces will participate in the event, including strategic missile, aerospace defense, airborne troops, ground forces, the air force and the Navy, which will require the organizers to build specialized and highly technical constructions.